"I know what you're up to, and I mean to put an end to it, permenantly!" Lieutenant Drake was an officer at Durnholde Keep while Thrall was held their as the personal slave and pet gladiator of Aedelas Blackmoore. He was a veteran of the Second War, and after seeing so many of his friends and comrades killed by the orcs in battle, he developed a considerable hatred and loathing for them. When Epoch Hunter and the Infinite Dragonflight attempted to alter the timeline and ensure that Thrall did not become Warchief of the Horde by preventing his escape from Durnholde, agents of the Bronze Dragonflight interfered to help ensure his escape and preserve the timeline. Lieutenant Drake, unaware of the attempts to alter the timeline going around him, attempted to stop the adventurer's attempt at sabotage, but was killed by them instead. His fate in the unaltered timeline is unknown, but he's probably just as dead there too. Doctor Theolen Krastinov was a mad physician in the employ of the Cult of the Damned. Known as The Butcher, Doctor Krastinov was personally responsible for much of the suffering and torture that occured within Scholomance. He was also the student and servant of Kirtonos the Herald, a vampire who he regularly supplied with the blood of the innocent. As part of their deal with Kel'thuzad, the Barovs allowed the Cult of the Damned to establish their school of necromancy, Scholomance, beneath their manor. As the corruption from the school grew, the Barov's servants found themselves overwhelmed by the work upkeeping the manor. It soon became impossible as the school grew, and soon the Barov's servants were handed over to Scholomance as test subjects. Many of the Barov's former servants were personally experimented on by Doctor Krastinov, who performed many horrible, unspeakable tortures on them. With their desecrated remains remain lost within Scholomance, the spirits of many of Krastinov's victims still haunt the empty ruins of Caer Darrow. Two of them, Eva, and Lucien Sarkhoff, retained their sense of self, and were able to commune with adventurers, sending them into Scholomance to avenge their deaths. Adventurers did so, killing Krastinov and his dark master. The Scourge would never let a good monster go to waste, and so Doctor Theolen Krastinov was reanimated and brought back in undeath. The doctor continues his cruel experiments, and following Darkmaster Gandling's new teaching regime, he now trains new students in the art of sadistic torture. Krastinov has surgically altered his students to look like him in order to confuse adventurers. This strategy would have been more effective if they all didn't look like he did when he was still alive. Krastinov was killed again by adventurers. Illidan Stormrage was a night elf demon hunter. Over the course of his long life he's held many different careers, including mage, double agent, prisoner, demon, attempted saviour, and despot. Born over ten thousand years ago, Illidan lived during the height of the night elf civilization. From a young age, Illidan was fascinated by the magic of the Highborne night elves, and wanted nothing more than learn and master that power. Despite his status as a commoner, Illidan was able to learn and control the magic of the Well of Eternity, with considerable aptitude. Although many of the Highborne did not take him seriously as a mage, Lord Ravencrest, recognized his talent and took him on as his personal mage. Meanwhile, his brother Furion, a self-proclaimed scholar and hippie, won the heart of Tyrande, the love of their lives, who was not impressed at all by the amazing acts of magic Illidan could do. It was soon clear that something was rotten in the heart of Zin-Azshari. A darkness seemed to have overcome the Highborne, and rumours of terrible monsters lurking about spread until an entire legion of them appeared, taking control of the capital. Illidan was quick to leave the ranks of the Highborne and joined his brother in the night elf resistance. They fought together, gathering allies, in a desperate effort to drive the demonic invaders back to whence they came. It soon became clear to both of them, however, that there was no hope that the night elves and their allies would be able to defeat the seemingly limitless numbers of the Burning Legion. Both recognized that the massive demonic portal empowered by the Well of Eternity needed to be shut down and sealed, however, the two brothers disagreed on exactly how to go about doing that. Furion advocated that the best course of action would be to destroy the Well of Eternity, as he believed that the arcane power of the Well had been the cause of the corruption. Illidan, however, strongly disagreed, as the Well of Eternity was the source of his arcane power, and the immortality of the night elves. When Furion was successful in convincing their allies to launch an assault on the Well of Eternity to destroy it, Illidan left to enact his own plans to seal the portal. Of course, to have the time to enact his plan he needed to sell out his brother and his allies in order to prevent them from destroying the Well of Eternity. This made him very unpopular with his brother, and his allies. "I will be the savior of our people! I WILL FULFILL MY DESTINY!" However, while he had fallen out of favour with his former allies, Queen Azshara and her demonic allies were pleased with his service. Sargeras himself rewarded him by burning out his eyes, replacing them with a pair of mystical orbs which gave him to ability to see magic, and awesome magical tattoos. When the time came, Furion led his forces into the heart of Zin-Azshari to face Azshara and the Burning Legion. They stormed the palace, and Illidan did his part to help the invaders. Illidan sealed the portals, stemming the flow of Legion reinforcements, and helping the rebel night elves where he could. Abandoning Furion, and Azshara to their battle, he rushed to the Well of Eternity where he filled seven specially prepared flasks to contain its waters. Despite Illidan's efforts to preserve the Well, Furion's battle with Azshara and her minions disrupted the remaining portals, which in turn destabilized the Well of Eternity. Despite successfully driving back the Burning Legion, the Well of Eternity was about to explode, and would likely take most of the night elves' empire with it. Illidan, Furion, Tyrande, and their surviving allies fled the city, leaving Azshara and the remaining Highborne to their fate. The Well of Eternity exploded, ripping apart continents, and sinking vast landmasses in the process. The bulk of the Highborne were presumed drowned along with their queen. The world had been saved from the Burning Legion, but at a terrible cost. Illidan made a long trek to the top of Mount Hyjal, where he found a small lake. Pouring the contents of three of his vials into it, he attempted to create a new Well of Eternity. Illidan had expected that Furion and their people would be happy to learn of his wonderful new creation, that he had managed to preserve the Well of Eternity and its power for all their people. However, the survivors, having survived a demonic invasion, having their empire sink beneath the waves, and seeing the world ripped asunder, had lost their enthusiasm for magic. In fact, most of them blamed the reckless use of arcane magic, and the power of the Well of Eternity, for the entire fiasco. Confused by this turn of events, Illidan tried to argue that magic would be necessary to defeat the Burning Legion should they ever return, but the angry night elves would hear nothing of it. Furion sentenced Illidan to be imprisoned indefinitely, and he was locked away underground, somewhere on Mount Hyjal. Before he was locked away, however, Illidan managed to slip one of his vials of Well of Eternity Water to Dath'Remar Sunstrider who would later use it to help create the Sunwell in Quel'thalas, and somehow train several other night elves to be Demon Hunters. Illidan then proceed to spend the next ten thousand years locked in a cell deep beneath the earth, under the watchful eyes of the Wardens and Maiev Shadowsong. When the Burning Legion returned, Tyrande decided that Illidan's help in the crisis would be useful, and sought to free him from his prison. The Wardens strongly opposed this, and so Tyrande was forced to fight her way through them and release Illidan without their consent. Illidan, happy to be free for the first time in ten thousand years, and was glad to lend his aid against the Burning Legion once again. Furion, however, was quite upset about Tyrande's actions, and was very unhappy to see his brother out of his cell. Illidan stormed off, outraged once again at his brother, and looked for a way to prove that he wasn't the power obsessed magic addict his brother thought he was. Maiev returned to the barrows sometime later, having taken her first break in ten thousand years. Horrified that Illidan had escaped, she swore she'd never take a break again, and would hunt Illidan to the ends of Azeroth and bring him back in chains. "I am free after ten thousand years, yet still my own brother thinks I am a villain! I'll show him my true power! I'll show him that the demons have no hold over me!" 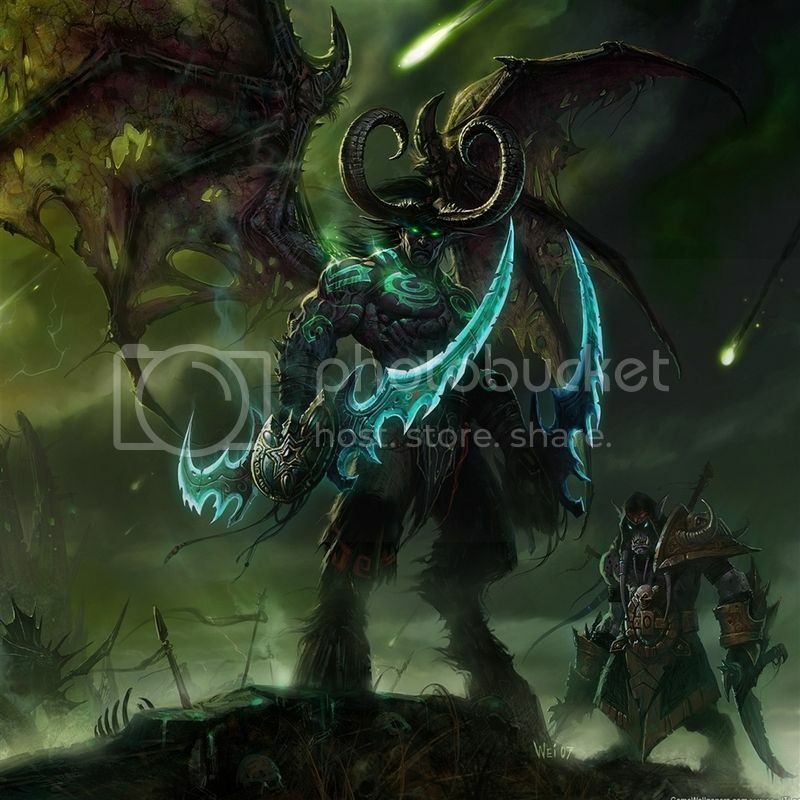 When travelling through Felwood, Illidan encountered an agent of the Lich King, the death knight, Arthas. Arthas tipped Illidan off to the source of the corruption in the forest, the Skull of Gul'dan, and left the demon hunter to sort things out. Illidan did so, setting out to destroy the Skull of Gul'dan and defeat the demon, Tichondrius, who had taken up residence in the forest. Along the way, however, he realized that if he claimed the power of the Skull for himself, he'd have more than enough power to dispatch the dread lord, and still stop the corruption of the forest. Illidan did so, transforming himself into a demon, and then promptly dispatching Tichondrius with his new power. In retrospect, maybe absorbing the power of a demonic artifact and transforming himself into a demon was not the best way to prove to his brother that he wasn't a power obsessed magic addict. Despite having destroyed one of Archimonde's lieutenants, and halting the corruption of Felwood, his ungrateful brother was still upset at him, and exiled Illidan. Illidan, although upset, was accepting of this, because it was still better than going back into a dark hole in the ground. Leaving Furion, Tyrande, and night elves on their own, he left. Archimonde was defeated without his help, and the surviving Legion forces were left in disarray. Illidan travelled on his own through Kalimdor for a time, until he found himself contacted by the demon lord, Kil'jaeden. Kil'jaeden, upset at the Lich King's treachery, needed an agent to dispose of the undead menace, and offered Illidan more demonic power if he'd deal with the Lich King for him. Illidan, quick to jump on any chance to be a hero and acquire more power, accepted. Gathering up some satyrs as allies, he set out for the coast where he was able to call on some of his other old allies, the highborne night elves who had long since been transformed into naga. Lady Vashj answered his call, and together they travelled to the Broken Isles, where they entered the Tomb of Sargeras. Using Gul'dan's memories, they were able to navigate the dungeon, and locate what the orc warlock had long sought: the Eye of Sargares. Using the power of the Eye, Illidan hoped to shatter the Icecrown glacier, and destroy the Frozen Throne without risking a direct confrontation with the Scourge. Unfortunately, Maiev arrived and attempted to stop him from claiming the Eyel. Illidan and his allies retreated, but not before Illidan used the Eye to bring down the tomb, in an effort to trap Maiev there. Maiev was able to escape the Tomb, but not without abandoning her friends and allies. Illidan fled to the ruins of Dalaran, where he prepared his ritual to destroy Icecrown glacier and the Lich King. This time, he was interrupted by Malfurion. The two argued briefly about the ethics of Illidan's spell casting, Malfurion citing that the spell was threatening to rip the continent of Northrend apart, and Illidan pointing that he was trying to kill the Lich King and end the Scourge, the common enemy of all living creatures. The argument ended when Malfurion revealed that Maiev had told him that Tyrande had been killed and devoured by the Scourge while they were helping Kael'thas. Illidan was momentarily sullen, but then Kael'thas piped up and told them that no such thing had happened, she'd merely been swept down river. The two brothers agreed to set aside their differences and save Tyrande before Maiev's lie became the truth. Joining their forces together, Illidan and Malfurion saved Tyrande, and finally forgave each other. Setting aside their differences at long last, Illidan left Azeroth, opening a portal to Outland in an effort to find a place to hide from Kil'jaeden who would no doubt be angry at his failure to uphold his end of their bargain. Maiev followed him. In time, Vashj and Kael'thas joined him in Outland, rescuing him from Maiev who had managed to catch him and put him in a cage. Together, they rallied some of the draenei survivors, led by the Elder Sage, Akama, and overthrew Magtheridon, who had been ruling Outland from the ruins of the Black Temple. With Magtheridon defeated, Illidan declared himself Lord of Outland, and with his new allies, they all prepared to settle in to their new abode when Kil'jaeden showed up. Kil'jaeden, upset that the Lich King still was not dead, reminded Illidan of his bargain. Noticing that Illidan had managed to rally a fairly impressive army, Kil'jaeden decided to give Illidan one more chance to not earn his eternal ire. Message received, Illidan and his allies prepared to march on Icecrown and destroy the Lich King. It could have gone better. Illidan was defeated at Arthas' hands, and left for dead in the snow. His allies were able to retrieve him, and together they retreated back to the questionable safety of Outland. Illidan began making preparations for the inevitable arrival of Kil'jaeden's wrath, and sought to further secure his dominion over Outland. During this time, he managed to train a new cadre of demon hunters, create a font of pure arcane energy capable of relieving one of the effects of magic addiction, anger the naaru and their allies (causing them to wage war against each other despite having a common enemy in the Burning Legion), capture and lock up Maiev in return for keeping him in a cage for so long, create an army of fel orcs, enslave the netherwing dragons to serve as mounts for his fel orcs, and possibly go mad. Despite Illidan's ever increasing paranoia, he somehow missed that two of his once closest allies, Prince Kael'thas and Akama, were conspiring against him. While Kael'thas merely defected to the Burning Legion, Akama was actively plotting to kill him and end his reign as Lord of Outland. With the help from adventurers, Akama put his plan into motion. First by retrieving the part of his soul that Illidan had taken to ensure his loyalty, and then by helping adventurers fight their way through the Black Temple, and killing Illidan with the help of the adventurers and Maiev. Illidan was killed, and Maiev claimed his corpse as her part of the loot, taking it back with her to Azeroth, sealing it, along with Illidan's soul, back in the barrows to continue to serve out his indefinite life sentence. The adventurers looted whatever magical items Illidan had on him at the time, including his warglaives and the Skull of Gul'dan. Illidan will be back in some form in Legion. Having trained the new demon hunters, he'll likely be playing a prominent role in their starting area. His motives and goals during the BC-era will be explored in some depth. Additionally, it's been revealed that alternate universe Gul'dan intends to free Illidan from his prison and revive him for whatever reason. Maybe he expects to be friends since Illidan absorbed the memories and power of his main universe counterpart, or maybe he figures he can extract that power from Illidan and claim it for himself, since it was his, sorta. Taragaman the Hungerer was a felguard summoned by the Searing Blade, a group of cultists dedicated to the Burning Legion and a subsidiary of the Shadow Council. Taragaman was intended to serve as bait, appearing as the leader of the Searing Blade coven in Ragefire Chasm, while the cult's true leaders, Jergosh and Bazzalan would sit in safety as he disposed of any intruding adventurers. In the event Taragaman was defeated, the adventurers would assume that they'd dealt with the leader of the Searing Blade and leave, leaving Jergosh and Bazzalan to clean up after them. This plan failed because adventurers are utterly ruthless killing machines. Had the Searing Blade ever amassed the forces necessary to begin their invasion of Orgrimmar, it was intended that Taragaman would lead the assault. Taragaman was defeated by adventurers, and banished back to the Twisting Nether. He has since been removed from the game. Following the defeat of the Searing Blade, Ragefire Chasm was taken over by Twilight's Hammer cultists, and then later part of it was incorporated into Warchief Garrosh Hellscream's secret underground bunker, the Underhold. For some reason, my calendar has a picture of Harbinger Skyriss killing Warden Mellichar in the Arcatraz, instead of Taragaman or anything related the Ragefire Chasm. Epic illidan write-up, his wc3 story is a lot of fun, randomly going nuts in outland for BC though :/ (its almost as if.... they were not prepared :3) hopefully the inevitable legion retcons will do him some justice. Zilla- wrote: Epic illidan write-up, his wc3 story is a lot of fun, randomly going nuts in outland for BC though :/ (its almost as if.... they were not prepared :3) hopefully the inevitable legion retcons will do him some justice. Thank you! Yeah, WoW's been rough on most of WC3's anti-heroes. I kind of feel that Illidan and his friends in Outland got the short stick on the grounds of "it'd be cool to fight a well known and established WarCraft characters". 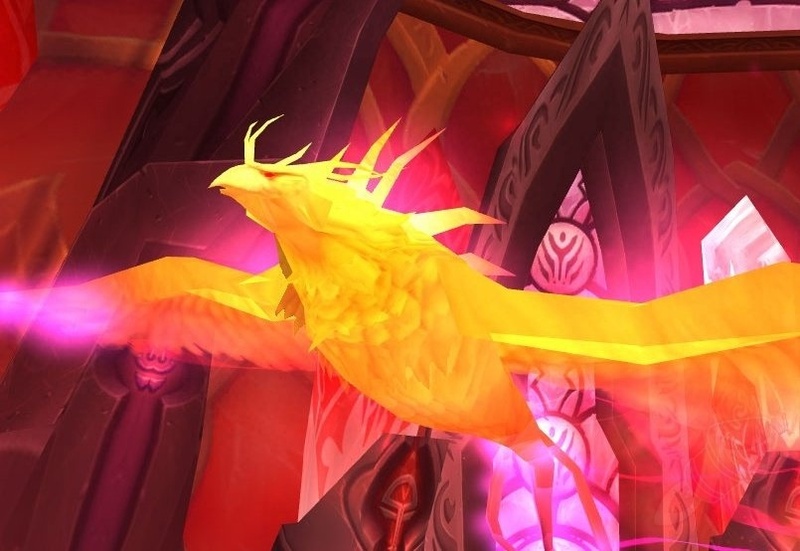 A'lar was pet phoenix of Kael'thas. He served his master faithfully, aiding him in battle throughout the Third War, and its aftermath. When they captured Tempest Keep from the naaru, he gave A'lar his own room to fly around freely in, dubbing it the Phoenix Hall. When one of Akama's loyal draenei was captured by Lady Vashj, he feared that his ongoing ruse would be revealed to Illidan. However, he was able to successfully deflect Illidan's suspicions by revealing Kael'thas' treacherous defection to the Burning Legion. 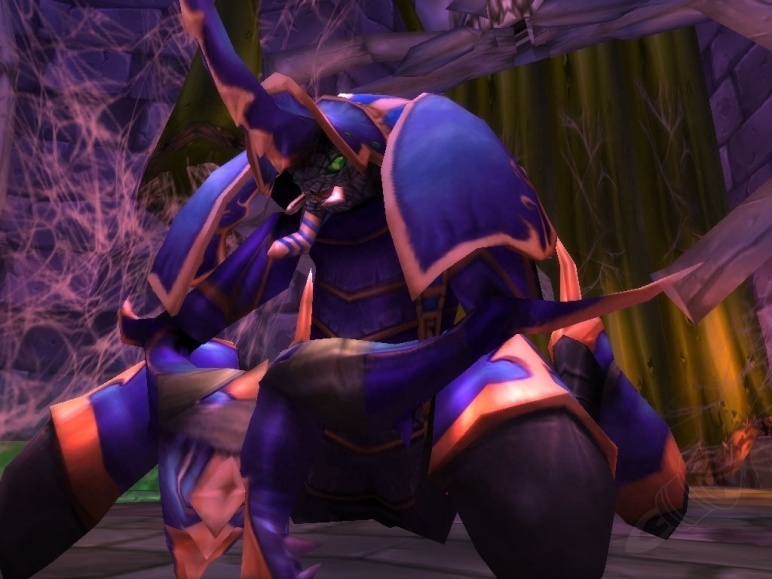 Wishing to ensure that there was no connection between Kael'thas and Akama's Ashtongue tribe, Illidan ordered Akama to kill A'lar, something Kael'thas would never allow. To make Illidan happy and maintain the guise of loyalty, Akama dispatched adventurers, disguised as broken draenei, to kill the phoenix. Adventurers did so, and looted his ashes in an effort to claim a phoenix mount of their own. You won't be yourself around her. Baroness Anastari was a high elf baron, until she was brutally murdered by Scourge and had her soul ripped out of her body in the process, transforming her into a banshee. In life, she was known to for her greed and ruthlessness, and death did little to change that. While she favoured material wealth in life, these days she's more more interested in possessing the bodies of the living. At some point, she was assigned to help defend her former peer, Baron Rivendare, by guarding one of the ziggurats that maintained the barrier that protected the Slaughterhouse in Stratholme. She was destroyed by agents of the Argent Dawn while guarding it. She likely reformed sometime later, and continued guarding the ziggurat. She was later destroyed again by agents of the Argent Crusade. Lucifron and Gehennas are constantly competing with one another for the Firelord's favor. Lucifron was a flamewalker in the service of Ragnaros. He travelled from the Firelands to the Molten Core after his master was summoned to Azeroth. He was the rival of Gehennas, as the two of them vied for the attention and favour of Ragnaros. Lucifron was killed by adventurers when they raided the Molten Core. The Abominable Greench was a mighty yeti who made his home high up in the Alterac Mountains, in Growless Cave. He slept most of the year, waking up only in the depths of winter with a ravenous hunger. During this time, he'd scour the area for food before going to back to sleep again. It seems likely that the people of Alterac had made efforts to keep the yeti placated in the past, but with the near complete destruction of the mountain nation, there's been no one left to placate The Abominable Greech when he awakens. Tragically, while the mountain passes have fallen out of use most of the year, largely due to the fall of the Kingdom of Lordaeron, it is during the depths of winter that they see the most use, as that is when the Smokywood Pastures' caravan travels through the mountains for Winter's Veil, and is inevitably attacked by the hungry Greench. While Smokywoods Pastures is aware of the problem, instead of hiring more guards for their caravans, they have chosen to simply accept that the Abominable Greench will attack and steal their supplies. In response, Smokywoods Pastures is happy to hire able adventurers to retrieve the stolen goods from the yeti. The Abominable Greench is beaten until it is forced to flee, and the cycle is left to begin again the next year. Following the Cataclysm, the Abominable Greench's appearance changed to something larger and greener, and furthermore he gained several leper gnome lackeys. Additionally, he upped his dastardly game, and kidnapped Metzen the Reindeer, a task once performed by the Dark Iron dwarves and pirates. What caused this sudden change in the Abominable Greench is unknown. He may have been warped by some unknown force during the Cataclysm, perhaps by the Twilight's Hammer in some unknown plot to ruin Winter's Veil. Alternatively, some have speculated that the original Abominable Greench was killed by adventurers, and that Smokywoods Pastures imported the new one from Northrend to replace him. Regardless of the possibly new Greench's origins, adventurers continue to fight him still, retrieving stolen treats, rescuing kidnapped reindeer, and saving Winter's Veil. "Who dares awaken the wrath of Archaedes? Who dares the wrath of the Makers?" Archaedas was a Titan construct made from the strongest stone found deep beneath Uldaman. He was tasked with guarding the vaults deep within Uldman, and protect them from intruders. He commanded an army of earthen, and golems for the sole purpose of protecting the Discs of Norgannon, which were stored within Uldaman's vaults. Despite his ancient power, he was killed by adventurers who were searching for the secrets of the Makers. Archaedas, of all people, actually sees further development in Legion. An ally of the Titanic Keeper, Tyr, Archaedas helped to investigate the corruption of Prime Designate Loken. Together, Tyr and Archaedas forged the shield Truthguard, a mighty artifact made for a vrykul champion who helped them expose Loken's treachery, and destined to be wielded by protection paladins in Legion. Archaedas helped Tyr to steal the Discs of Norgannon from their original holding place in the Ulduar complex in modern Northrend. Using the Discs, they hoped to uncover how far Loken's corruption had spread. Fleeing Ulduar, they travelled south into what would one day become the heart of the Kingdom of Lordaeron. Loken, having discovered their theft of the Discs, sent a legion of monsters after them. Tyr was killed by Loken's minions, as he stayed behind to fight them in order to give his allies the time they needed to escape to safety. Archaedas eventually made his way to Uldaman, where he hid the Discs of Norgannon in the vault. Likely still dead, but he may appear in some capacity in Legion. "Time... is on our side." Chrono Lord Deja was an infinite drakonid. He served as an assassin for the Infinite Dragonflight, helping to eliminate targets to ensure the creation of the Infinite Dragonflight's desired timeline. He was sent to kill Medivh while he was focused on opening the Dark Portal, however he was prevented from doing so when he was killed by adventurers sent by the Bronze Dragonflight to defend the corrupted Guardian. Last edited by Thalraxal on Tue Dec 29, 2015 4:50 am, edited 2 times in total. "Yes, run! It makes the blood pump faster!" In life, Anub'Rekhan was one of the many Spider Lords who led the nerubians against the Scourge during the War of the Spider. One of Anub'arak's most loyal commanders, he fell in battle alongside his master. Together, they were raised from the dead as Crypt Lords and made to serve the Lich King. 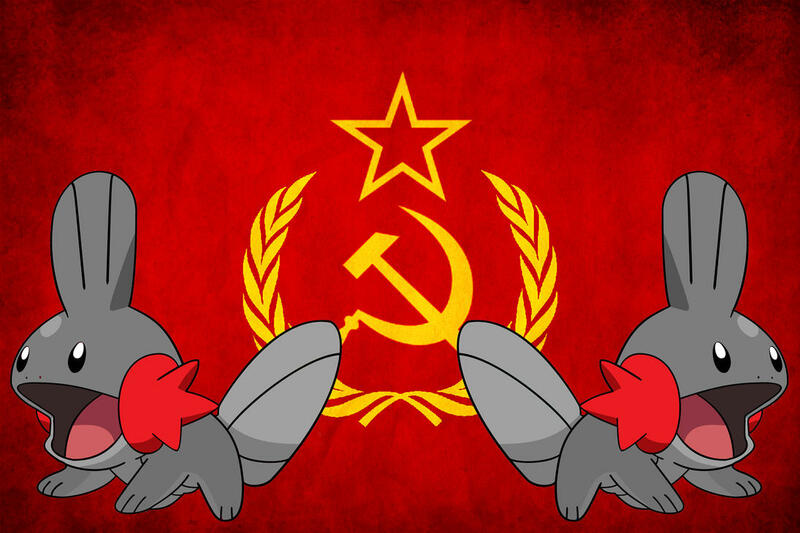 As agents of the Scourge, they led the slaughter of their own people. The two even led the invasion of Naxxramas, and oversaw the underground nerubian city be repurposed into a massive flying fortress for the Scourge. While Anub'arak remained in Northrend, Anub'Rekhan was assigned to help defend Naxxramas, and travelled south to Lordaeron on board the necropolis. Anub'Rekhan was killed defending Naxxramas from a joint operation of the Argent Dawn and Scarlet Crusade. He was later revived, and accompanied Naxxramas when it returned north, to Northrend, and lay siege to Wintergarde. There, he was killed once more by adventurers. He was likely restored to undeath again, and now bides his time. He has mostly likely joined Naxxramas' hearthstone tournament league as they wait for orders from the new Lich King. Anub'Rekhan was known for creeping out newly recruited acolytes by constantly inviting them to join him in his parlour. "Did you really think you would leave here alive?" Captain Skarloc was a paladin, and a loyal knight to Aedelas Blockmoore. Skarloc served in the ranks of the Lordaeron military alongside Aedelas. He was likely one of Aedelas' few friends, as many chose to judge him based on the actions of his traitorous father. Despite the disdain of many, Aedelas eventually earned the rank of Lieutenant General and was placed in charge of Lordaeron's orcish interment camps. Making his headquarters at Durnholde Keep, he invited Skarloc to join him. Skarloc accepted, and served as one of Aedelas' top advisors. His loyalty to Aedelas earned him the title 'Blackmoore's Spear'. When Epoch Hunter and the Infinite Dragonflight attempted to alter the time line and ensure that Thrall did not escape from Durnholde Keep and become Warchief of the Horde, Captain Skarloc intercepted Thrall and his new adventurer friends as they left Durnholde Keep. He attempted to recapture Thrall, and arrest the adventurers for their acts of vandalism and theft, but was killed instead. His fate in the unaltered time line is unknown, but considering the ruined state of Durnholde Keep, he's probably just as dead. ]Kael'thas'[/url] defection to the Burning Legion. "You wish to kill me? Hahaha, you first!" Veras Darkshadow was a blood elf rogue. He liked poison and not having to wear shirts. Based on his tattoos, he may have been a demon hunter wannabe. High Nethermancer Zerevor was a blood elf mage. He held considerable disdain for Common, seeing it as a crude and inferior non-elven language, and preferred to speak in high elven whenever possible. Gathios the Shatterer was a blood elf paladin. He wielded a Hammer of the Naaru, a favoured weapon of draenei paladins, which he likely found as loot while exploring the Black Temple. His final thoughts were of Lord Illidan, and how bad he felt for failing him om death. "FOR QUEL'THALAS! FOR THE SUNWELL!" Lady Lande was a blood elf priest. She used her final moments to quote The Orcale. She still seems to hope that Illidan will follow through on his promise to Kael'thas, and help sate their people's addiction to magic, preferably in some means that involves restoring the Sun Well to its former glory. Together, they were all killed by adventurers when they stormed the Black Temple. As they were all high ranking members of the Illidari, it's likely that they'll appear in the Demon Hunter starting area in some capacity.